The Wildlife Conservation Society reported that 70 per cent of the world's wilderness belongs to five countries and of those five, Canada holds the second-largest area following Russia. The world is rapidly becoming less wild according to a groundbreaking study published this week, co-authored by a Prince George ecosystem professor. The Wildlife Conservation Society reported that 70 per cent of the world's wilderness is located in just five countries. Of those five, Canada holds the second-largest area of wilderness after Russia. According to the study published in Nature, Australia, the U.S., Brazil, Russia and Canada are the five countries that hold the majority of the world's remaining wilderness. Oscar Venter, an ecosystem science and management associate professor from the University of Northern British Columbia, helped write the study over a three-year period along with researchers from the University of Queensland and the Wildlife Conservation Society. "Before we undertook this work, there was a general idea that wilderness...these are very large landscapes, far from people and... they're kind of inherently safe, that we don't have to worry too much about them," Venter told Daybreak North's Carolina de Ryk. But they discovered only about 13 per cent of the world's oceans and only about 23 per cent of land areas can still be considered wilderness, he said. The study mapped the globe from 1993 to 2009 and showed that 3.3 million square kilometres of intact wilderness areas on land were encroached upon by industrial-scale human activity. That area is about the size of India, Venter said. "Once humans move into these landscapes and convert them to things like agriculture or residential areas, there's still a lot of biodiversity there. but you lose a lot of the species that are more sensitive to human activity." When stacked against other countries, Canada is holding up fairly well with a lot of intact wilderness free from human activity remaining, according to Venter. Although Canada's wilderness is more stable than other places in the world, B.C. 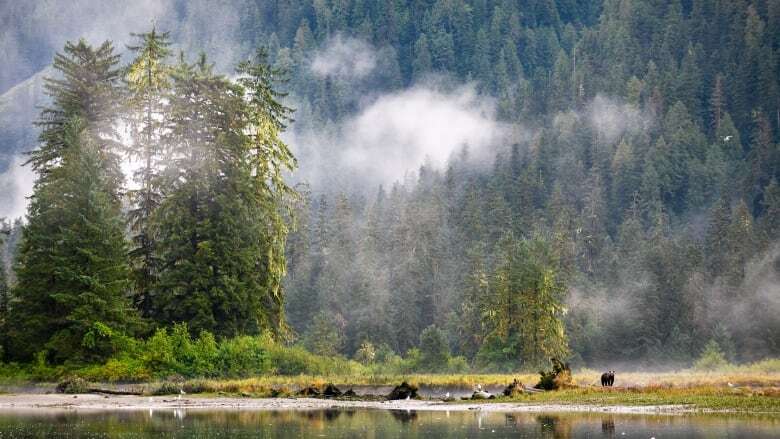 is home to more than 1,500 species at risk, according to the B.C. Conservation Data Centre. The provincial government has promised a new endangered species law some time next year. This week, a group of scientists published a report containing ideas for what that law might include. "What we're trying to do is help society find ways to do human business…in ways that aren't so damaging," said Karen Hodges, professor of conservation ecology at the University of British Columbia's Okanagan campus. "There are plenty of places that we can do our business better…that we can adjust where we place our resource extraction." The report includes examples from areas around the world with endangered species law for habitat protection, timelines for recovery teams, and strict guidelines for government actions once protection is recommended. There are no specific targets for wilderness conservation but Venter and his colleagues will be presenting their findings at the 14th Conference of the Parties to the Convention on Biological Diversity (CBD) in Cairo, Egypt this month.